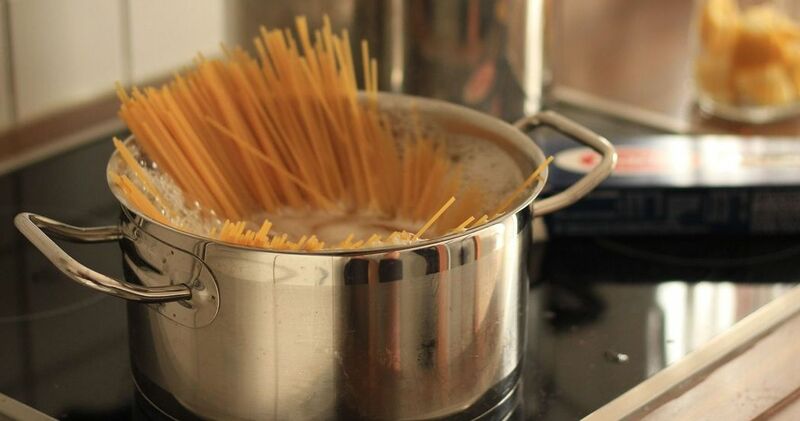 When you cook pasta, you need to drain out the water you used during the boiling process. Most people will pour it down the sink in the process – but what if I told you that this might just be throwing away an amazing ingredient that could make even better pasta? That’s right, it’s time to stop draining your pasta in the sink! 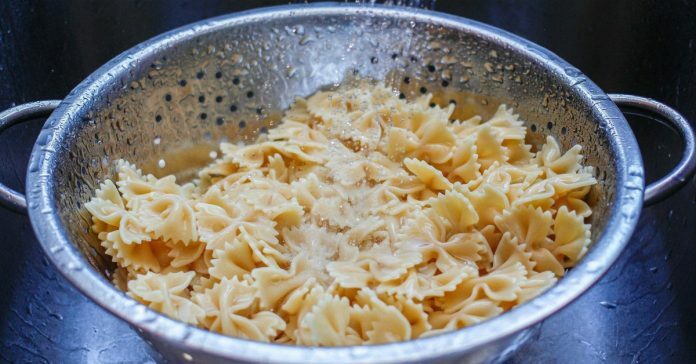 The water used when boiling pasta, cloudy as it is, is the perfect addition to pasta sauces of all kinds. If you save this precious yet easy to acquire liquid, you’ll be able to bring your cooking game to the next level and create the best possible sauce to go with your noodles. Well, as pasta cooks, the flour in the noodles releases a lot of starch. This starch makes its way into the boiling or simmering water, and the cloudy appearance that results makes many home cooks think that the water has become “dirty” or, essentially, can no longer be used. 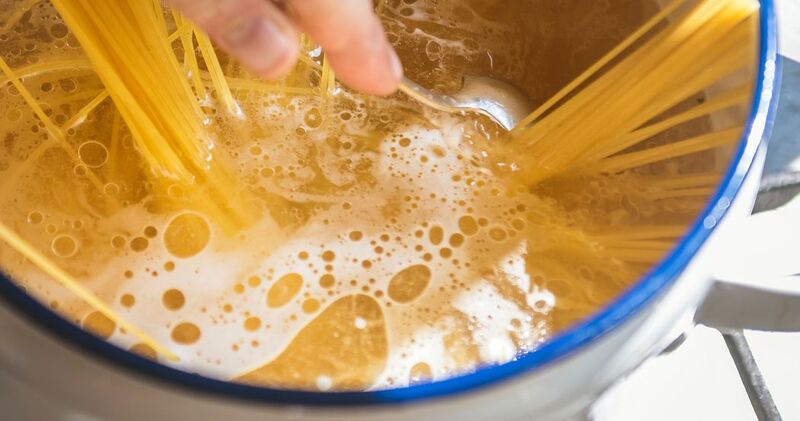 But this deceptive-looking food component causes emulsification in pasta sauce, which creates an amazing consistency for a smooth, delectable sauce. 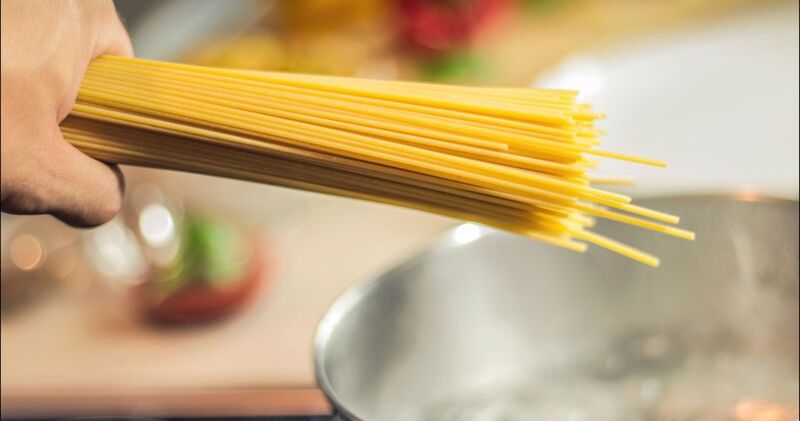 Essentially, emulsification is responsible for the bonding of water and oil so that your pasta sauce does not separate into liquid and more solid parts on your plate. This allows a silky texture that feels and tastes good. Many people also have to thicken their pasta sauce so that it has the right texture and consistency to coat their noodles. You may use cream, flour, or cornstarch for this purpose, but with pasta water, you can accomplish this same thing! Best of all, this water does not change the taste of your sauce, unlike the other aforementioned thickeners you can use. Lots of professional chefs around the world use this trick, and it works wonders. Best of all, all you need is one ladle of this liquid to get the job done! Not sure if you’d even notice the difference? An experiment done by Serious Eats found that, in a taste test, people preferred pasta sauces cooked with pasta water as opposed to those without it. 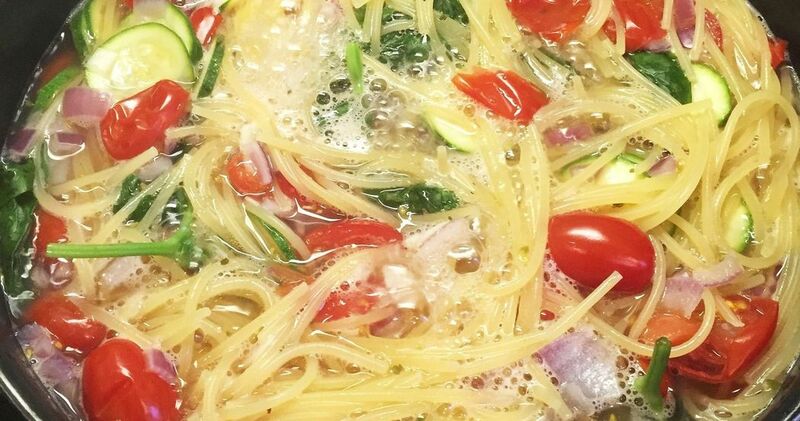 Want to use pasta water for your next dish? Before you do, there are a few things you should know, as well as some handy tips and tricks for an even better end result. Thank us later! Here are some things you should bear in mind. 1. If you want the perfect pasta water, you should be using around 3L of water to boil 250g worth of noodles. This will ensure a sufficient starch to liquid ratio. 2. Some people add oil to their pasta water while cooking their noodles to prevent sticking. 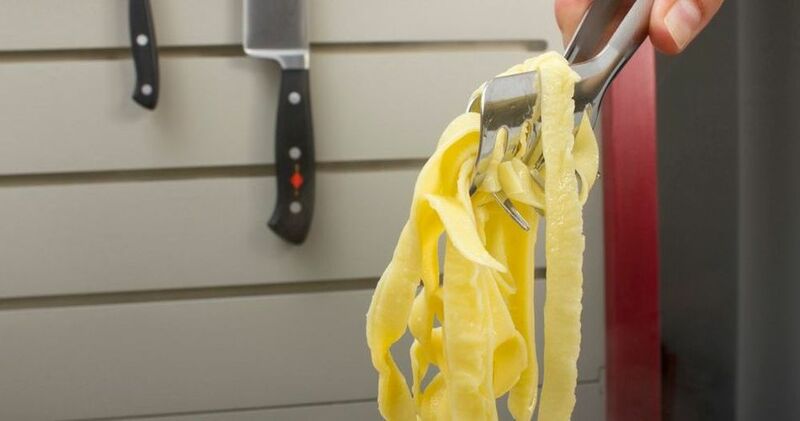 Not only does that trick not work at all for stopping sticky noodles, it also causes greasy pasta overall, making it difficult for any sauces to properly adhere to it. 3. If you like, you can invest in a special pasta cooking pot that has an in-built strainer for an easier way to save the cooking water. 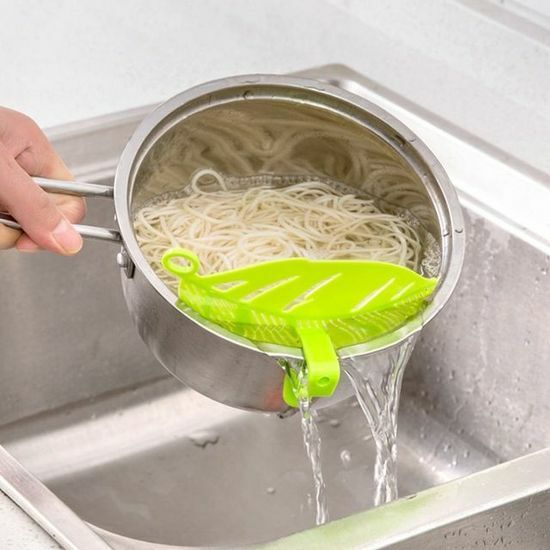 If you don’t use one of those pots, use a pair of tongs to lift the noodles out of the water instead of draining them. 4. It’s not just pasta that benefits from starchy water of all kinds! Rice, beans, and lentils can all receive similar treatment.